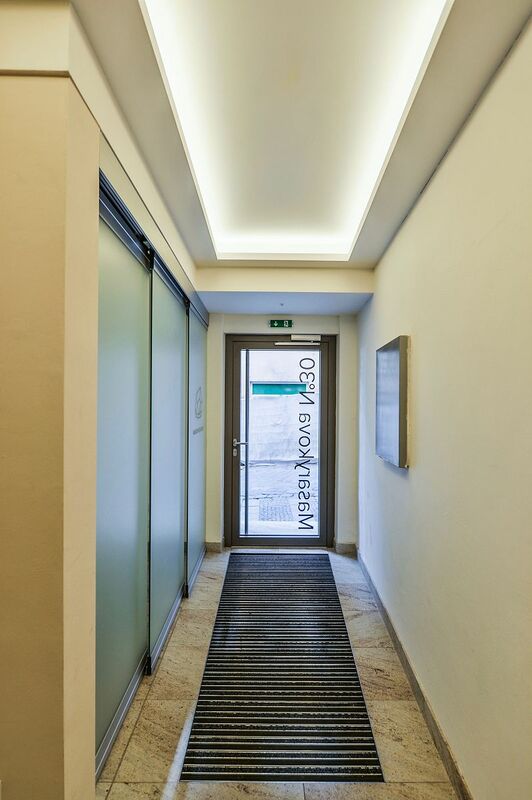 The Masarykova N°30 Boutique Residence offers apartments in Brno (only 12) that are located a few seconds from the main Cathedral of St. Peter and St. Paul and around the corner from the bustling Vegetable Market square. 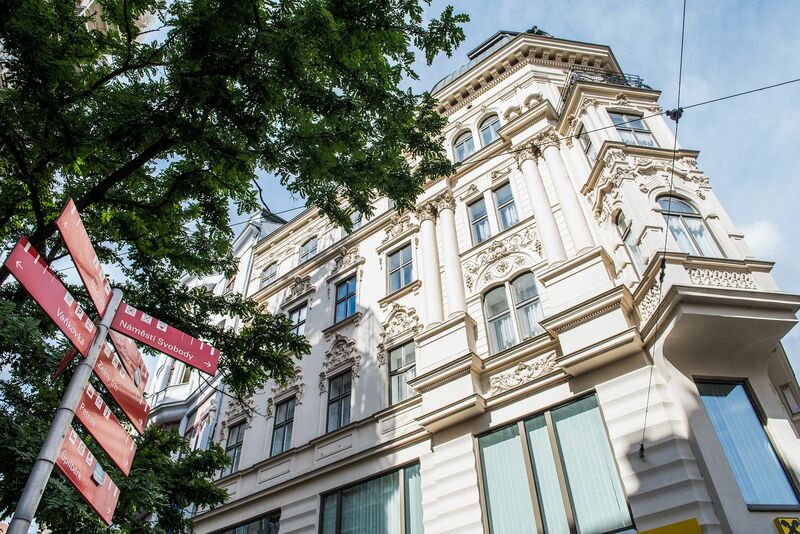 The apartments are housed in a renovated Historicist corner building from the Art Nouveau era. 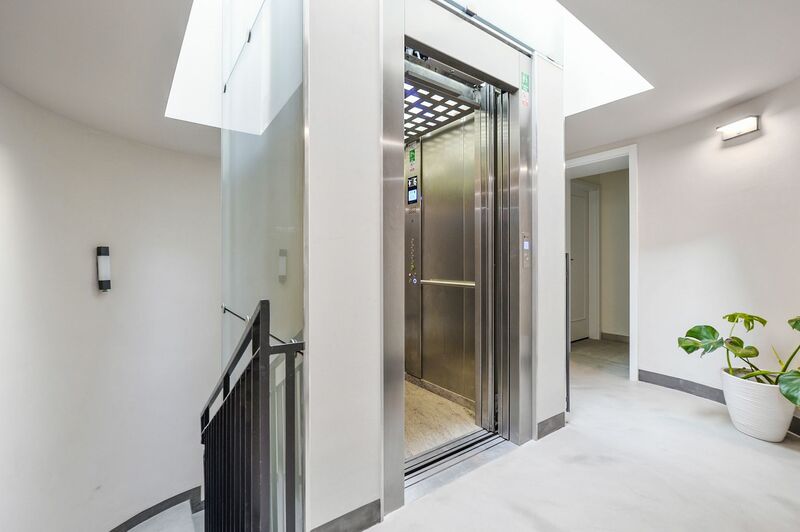 Guests will be sure to appreciate the high standard residence that is complete with free Wi-Fi Internet, air-conditioning, a brand new glass lift, serviced offices, luggage storage and more. 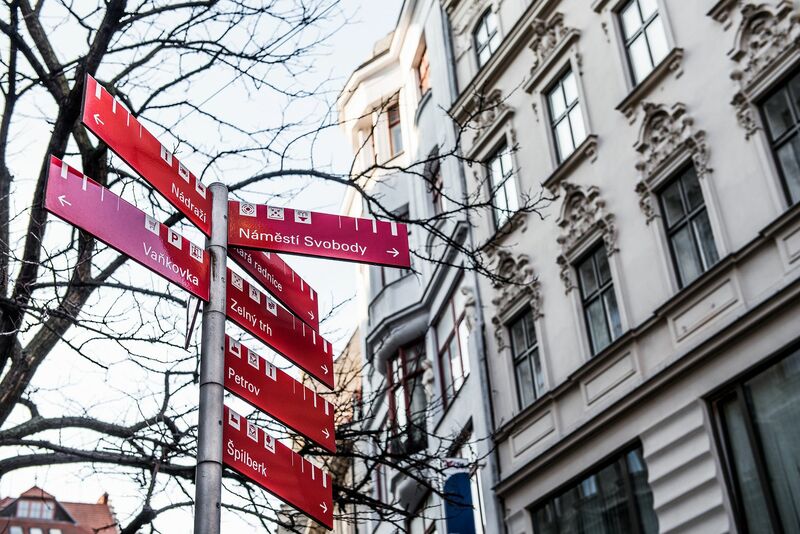 Parking is available on Novobranská Street (approx. 4 minutes on foot). 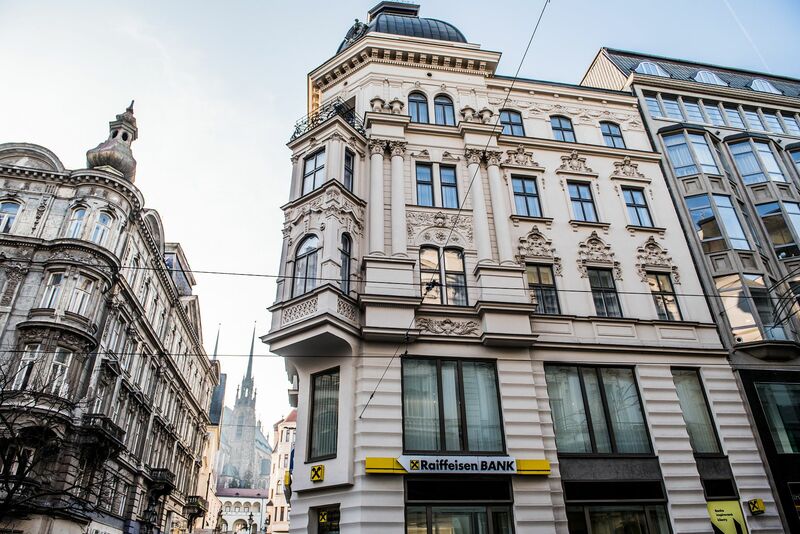 This lovely gem of a building sits on the corner of a main street (where you can find a tram line, making travel all around the city an easy affair; there is a tram stop seconds away), close to the main train station in Brno – convenient indeed for travelers. The area is home to other lovely residential buildings built during a similar era – pretty buildings for days as well as several churches (e.g. St. Mary Magdalene Church), the Capuchin Crypt (housing Capuchin monk mummies), and many restaurants, cafes, bars, shops, pharmacies, banks, etc. Visitors will surely delight in the charming decorative oddity across from the residence – a building with three colorful, oversized roosters perched atop its rooftop. 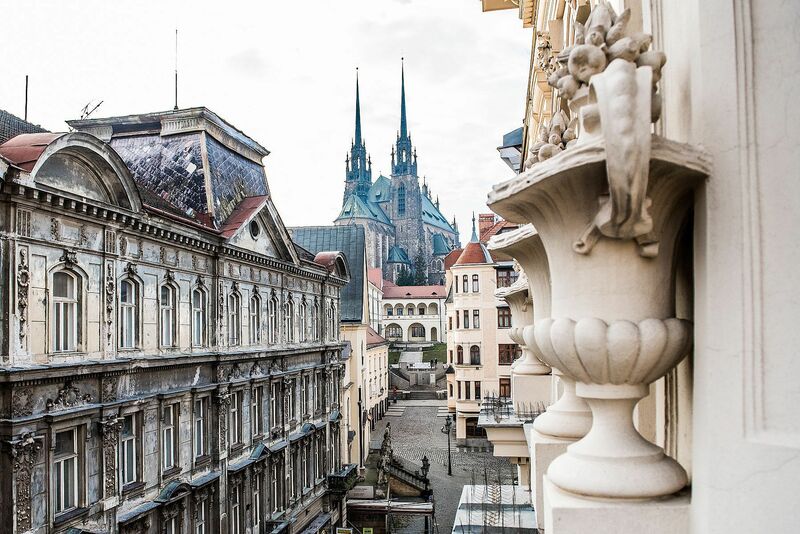 Brno’s main house of worship, the impressive Cathedral of Saints Peter and Paul is just a few minute’s walk away. The beautiful cathedral sits on Petrov Hill, which provides lovely views of the city. 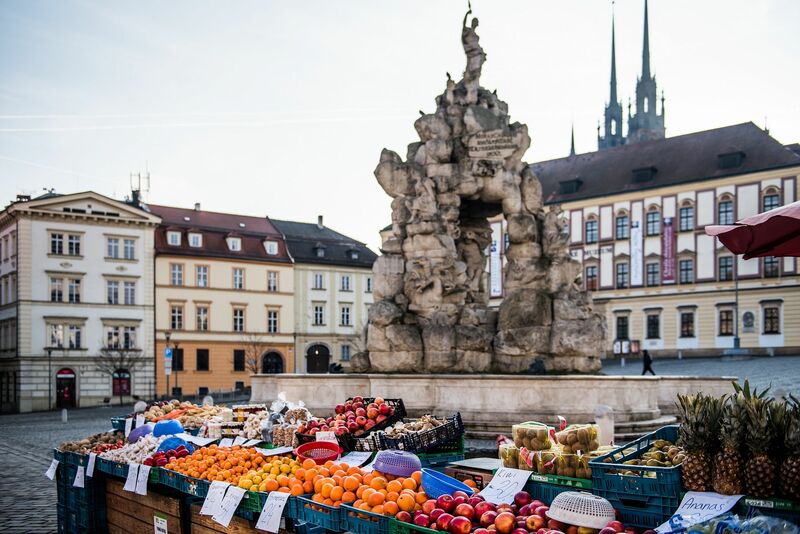 Another popular sight in Brno is the Vegetable Market square – located just around the corner from the residence. The square is home to a daily produce market where farmers from the surrounding countryside come and offer their home grown fruits and vegetables. 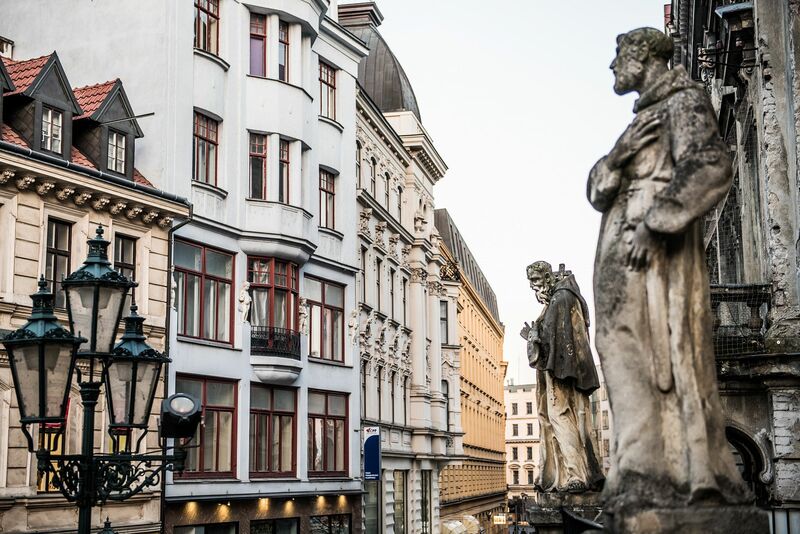 Lovers of history should take note that under the square lies an impressive labyrinth that dates back to the Middle Ages – spend some time touring this incredibly atmospheric place. 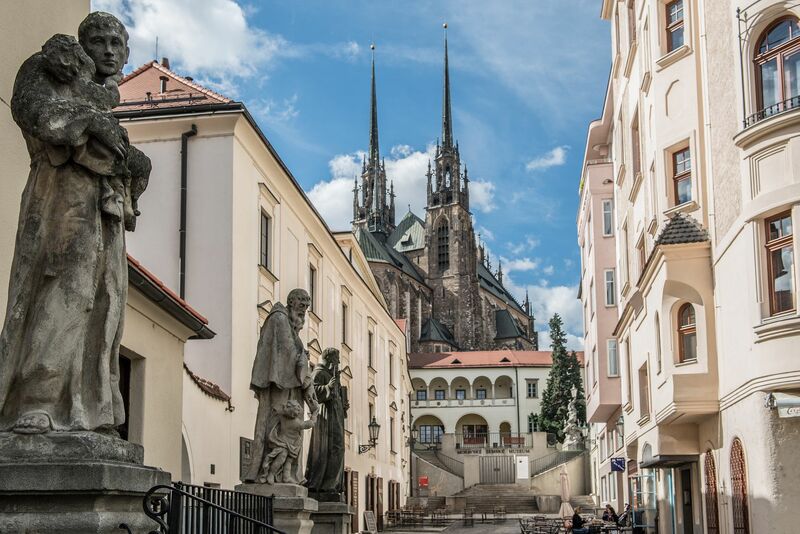 Furthermore, the city boasts the Špilberk Castle, one of the main attractions, and the Brno Ossuary, the second largest ossuary in Europe after the Paris Catacombs. 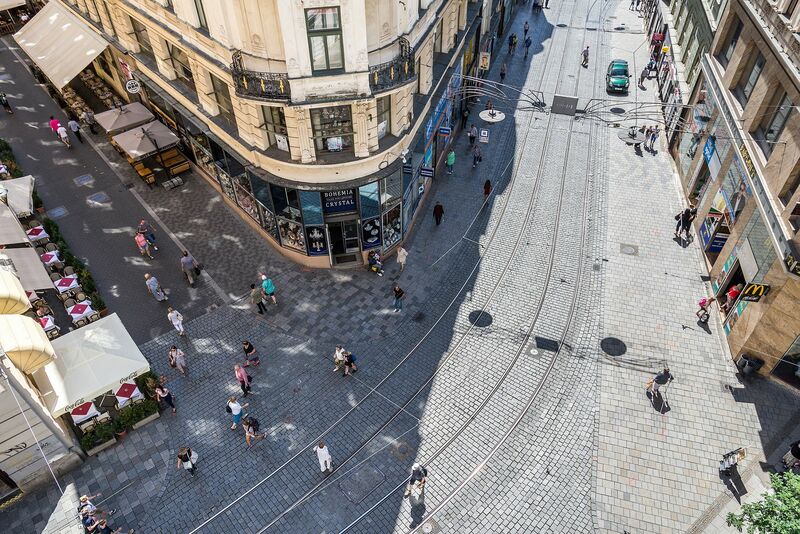 Brno showcases an array of architectural styles – be sure to visit the UNESCO-protected Villa Tugendhat, a masterpiece of Modernism by architect Ludwig Mies van der Rohe. The building’s original architectural elements both inside and out have been renovated and restored including decorative facade details, an interior spiral staircase, interesting wall niches, etc. In the residence you can find 12 fully serviced holiday apartments, named after intriguing minerals and stones (Amethyst, Citrine, Diamond, Graphite, Heliodor, Jasper, Moonstone, Neptunite, Onyx, Rhodonite, Sapphirine, Tiger’s Eye) and serviced offices. The residence consists of Masarykova N°30 and the building next door, a building with attractive bay windows (the two buildings are connected inside on the upper floors). Apartment amenities include free Wi-Fi Internet, air-conditioning, alarm system, washer & dryer, satellite TV with Internet access and more. The price includes weekly cleaning, full linens and towels. The apartments boast parquet flooring, renovated original casement windows, bathrooms with designer tile, glass mosaics or marble, and stylish decor & furnishings. 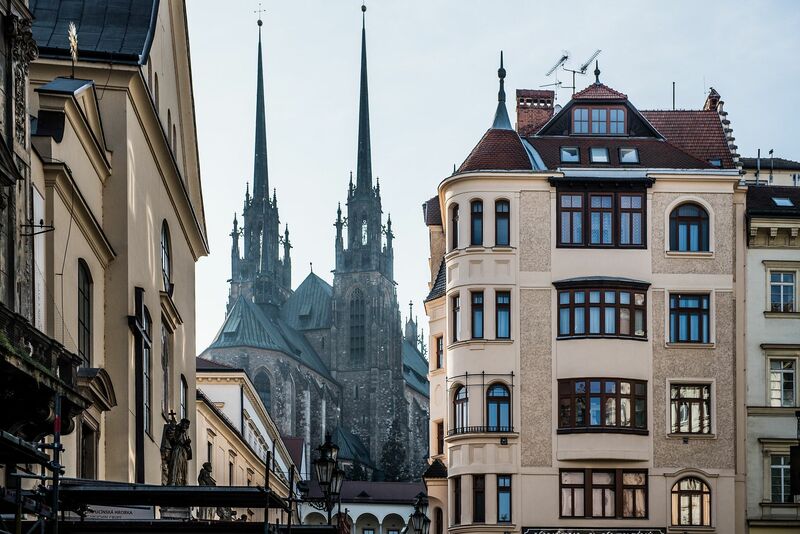 We offer airport transfers from Václav Havel Airport Prague to the center of Brno and back.